This English-taught professional bachelor's programme prepares you for a career in the international logistics industry. Breda University of Applied Sciences offers two international programmes in the field of logistics. In the engineering programme there is more emphasis on the technical aspects of storage and transport. In the economic programme, it is more on financial aspects and Marketing. The differences between the programmes can be found in this schedule. Can you manage warehouse inventories in an efficient manner? How does ketchup end up in the supermarkets? Will you be in charge of the logistics operations at an international sports event? After your graduation at Breda University of Applied Sciences, you are the all-round logistics wizard who ensures that the right people, materials and information get to the right place at the right time! Breda University of Applied Sciences's logistics programmes are generally appreciated for their enriching collaborative practices between education and industry. In the research by Nationale Studentenenquête 2016 (Student Survey) students value this programme at Breda University of Applied Sciences very positively. According to Keuzegids HBO 2015 (Dutch) Breda University of Applied Sciences is the best large university of applied sciences in the Netherlands. 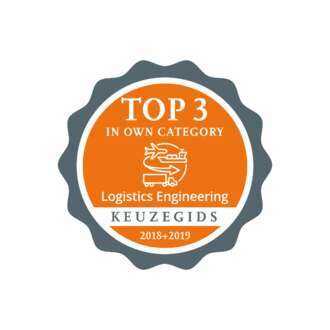 Keuzegids HBO 2015 also ranked the Logistics and Economics programme 2nd place in its own category.